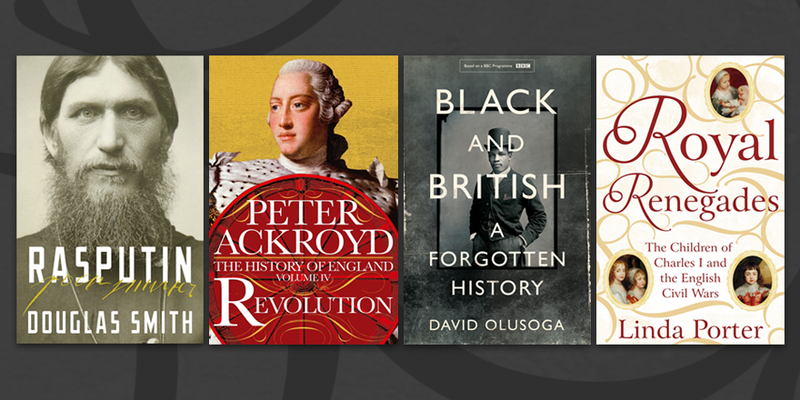 From forgotten royals to revolutions, here’s our pick of the best new history books coming out this Autumn. Charts the fascinating story of the children of Charles I, and how they reacted when their calm and loving family life was shattered by the Civil War and the execution of their father. Casting new light on the heirs of the doomed king and his queen, Henrietta Maria, acclaimed historian Linda Porter brings to life their personalities, legacies, feuds and rivalries for the first time. The fourth volume of Peter Ackroyd's History of England begins in 1688 with a revolution and ends in 1815 the famous victory over Napoleon Bonaparte at the The Battle of Waterloo. Late Stuart and Georgian England was a revolutionary era in which coffee houses and playhouses boomed, gin flowed freely and extraordinary and unprecedented technological innovation took place, which saw the country utterly and irrevocably transformed. A rich and revealing exploration of the extraordinarily long relationship between the British Isles and the people of Africa, published to accompany the landmark BBC Two series coming to our screens this Autumn. Separates fact from fiction to reveal the true life of one of history's most alluring figures. More than just the story of an extraordinary life, Rasputin offers a fascinating portrait of the twilight of Imperial Russia as it lurched towards catastrophe. From the moment it began in 1936, the Spanish Civil War became the political question of the age. Hitler and Mussolini quickly sent aircraft, troops and supplies to the right-wing generals bent on overthrowing Spain's elected government. Millions of people around the world felt passionately that rapidly advancing fascism must be halted in Spain. More than 35,000 volunteers from dozens of other countries went to help defend the Spanish Republic. Adam Hochschild evokes this tumultuous period through the lives of these volunteers. A few are famous, such as Ernest Hemingway and George Orwell, others are less familiar but no less facinating. An intelligent, comprehensive and authoritative history of the Holocaust from one of our finest historians. The fruit of a lifetime’s research, Final Solution is a brilliant reappraisal of the Holocaust, in which the late Professor Cesarani challenges the accepted explanations and examines, in often harrowing detail and through vivid personal accounts, exactly how – and why – Nazi policies against Europe’s Jewish population unfolded.